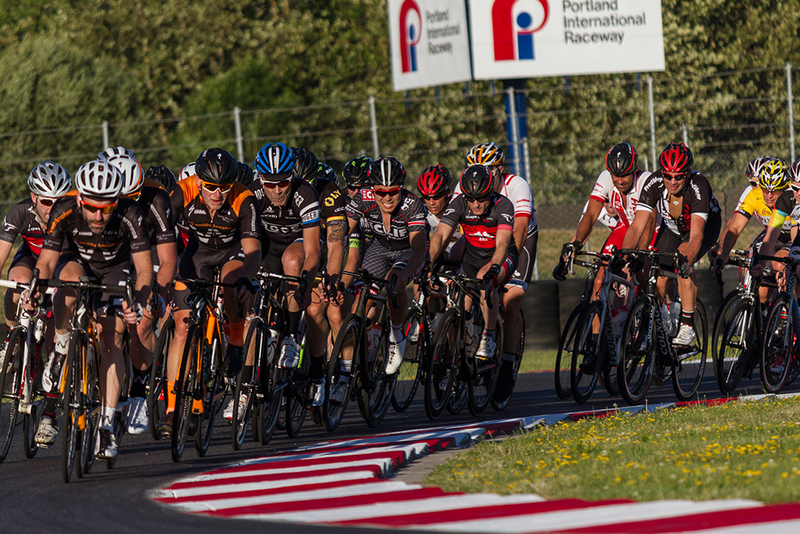 If the race to the office and back has gotten a little too easy for you, don’t fret, because the Monday Night Bike Racing Series at PIR has plenty more to offer where that came from. Ever try to make critical decisions under high stress when you’re almost out of breath while traveling shoulder-to-shoulder with dozens of other riders at blistering speeds? This is what Road Racing is all about. Let’s get you started. The weekly Monday Night Series held at the Portland International Raceway in North Portland is the perfect introduction for new racers. 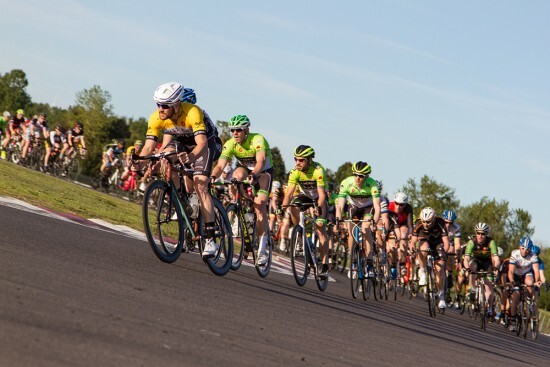 We encourage you to stop by any of our Monday evening races from April to August to see racing up close and get you ready to jump in on your own. No need to be intimidated, Oregon’s community of bike racers is one of the friendliest and fastest in the country. Seasoned riders will be on hand to answer questions, and it’s also a great opportunity to meet fellow beginner racers, get to know the officials that make these races possible, and perhaps scout out a few prospective teams you might like to join. Cycling teams are a great way to learn new skills, practice riding with a group, and meet new people. Being able to ride fast barely scratches the surface of what it takes to be a successful racer. 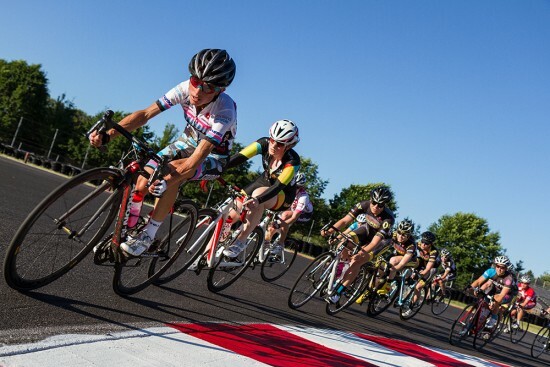 Luckily, there’s a free Introduction to Racing Clinic held at 5:30 pm the first racing Monday of each month, May through August where we’ll give you a few pointers to ensure your first races are as rewarding as possible. Clinics are organized using expert coaches and instructors from Wenzel Coaching. 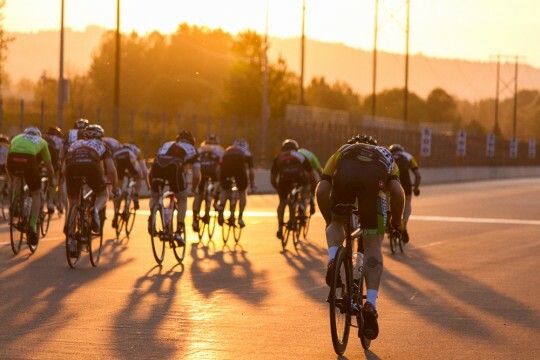 They cover basic group-riding skills, how to prepare for your first race, and if time permits, some tricks on saving energy, riding smoothly, and safely maneuvering during in the group, A.K.A. how to win. After the clinic, you can roll over to the start line! Take a few deep breaths, listen carefully to the official’s instructions, and when the whistle blows – it’s time to race! The course is a flat 1.9-mile loop and the novice group usually completes 6-7 laps. Phew! Quite good fun wasn’t it? Take a few pedal strokes to regain your marbles, and then go celebrate and chat with your fellow racers and the clinic coaches. Having completed a race is always an exhilarating experience whether you’ve done it once or a thousand times. Now that you’ve caught the bug, it’s time to keep training and keep racing. If you place consistently well, OBRA officials might upgrade you to the Category 4 & 5 race where you’ll get to test your legs against more experienced riders. There’s always another challenge awaiting in the glorious world of Road Racing. Welcome! An OBRA license is required to race. Annual or day memberships are available at the race or online. Jim Anderson is President of the Team Oregon Cycling Team and works as Logistics Manager and Soigneur for Axeon-Hagens Berman Professional Cycling Team. This is Jim’s 15th season organizing and promoting the Monday Night Race Series at PIR. When not on the road, cycling or encouraging others to ride, Jim enjoys tricking his Pembroke Welsh Corgi Winnie into chasing non-existent squirrels.